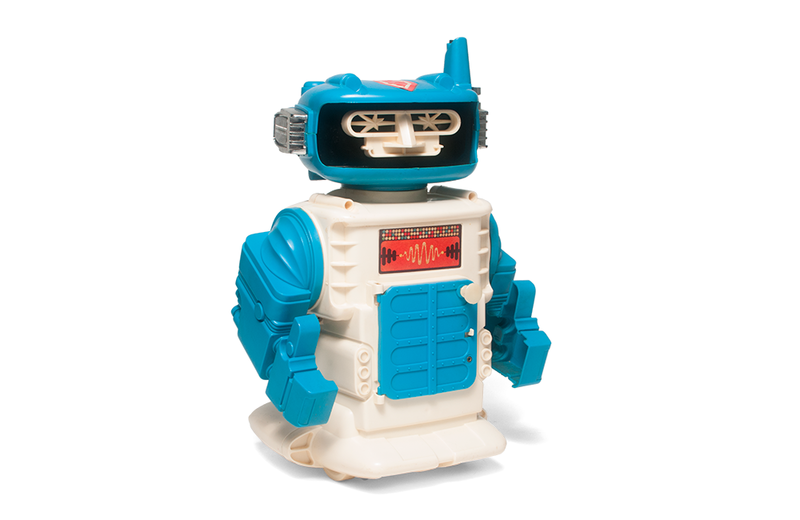 Released in 1970, Mister Brain was one of the several “tru-smoke” toys from New Jersey-based Remco that emitted “clean, safe smoke” while it operated. The toy stands 13-inches tall and runs on 4 “D” batteries. The smoking process is initiated by placing two drops of Remco Tru-Smoke Oil (a.k.a. mineral oil) into the smoke stack at the top of the robot’s head. The video on the right shows Mister Brain in all his smoking glory. 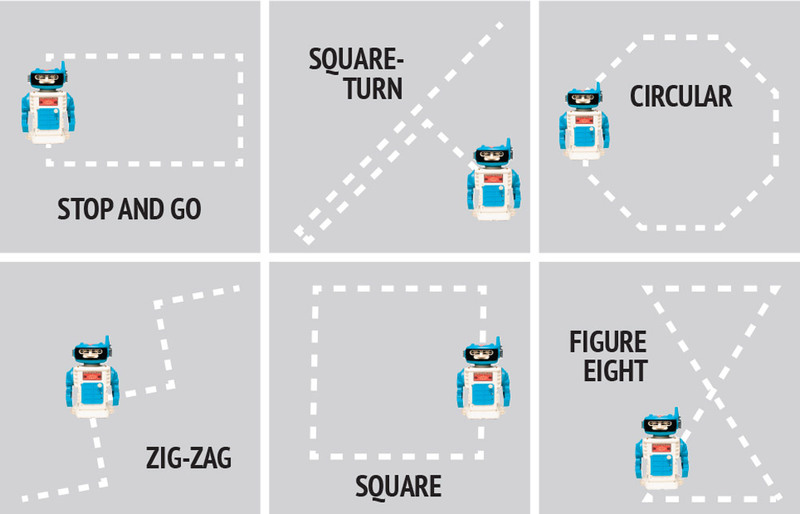 The robot also came with six cam gears, dubbed “magic memory discs”, that could be used to program Mister Brain to move on one of six pre-determined courses. 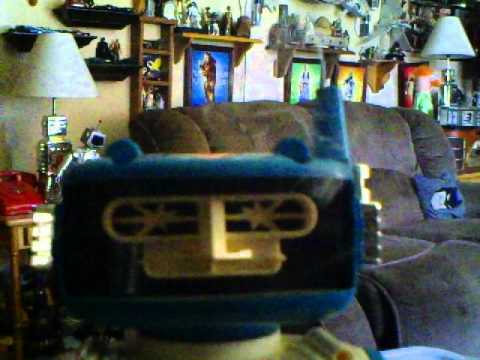 A memory disc is inserted into the mechanism behind the robot’s front hatch – a setup Remco often referred to as Mister Brain’s “cam-operated computer” in their advertising. The toy’s mobility and smoking features were augmented by automated arm swings and head shakes, giving it coveted street cred: he could both scare nearby pets AND annoy adults. Designed by Marvin Glass & Associates and released in 1967 by Ideal, Careful The Toppling Tower Game is a game that requires “steady nerves and steady hands” to win.